Coliving can be a confusing term for some, meaning a lot of things to a lot of different people. When we say coliving, we largely mean finding a better way to live with roommates, renting a room in a beautiful space you get to call your own. But beyond a “room rental,” what does coliving at Common entail? Let’s explore the many facets of comfort, convenience, cost-effectiveness, and community at Common. Imagine that you don’t have to sift through 7 different bills every month to make sure you aren’t being sent to collections. Imagine you don’t have to run out because your roommate used the last bit of toilet paper, and hey you’re fresh out of paper towels, too. That’s what life looks like for members at Common. 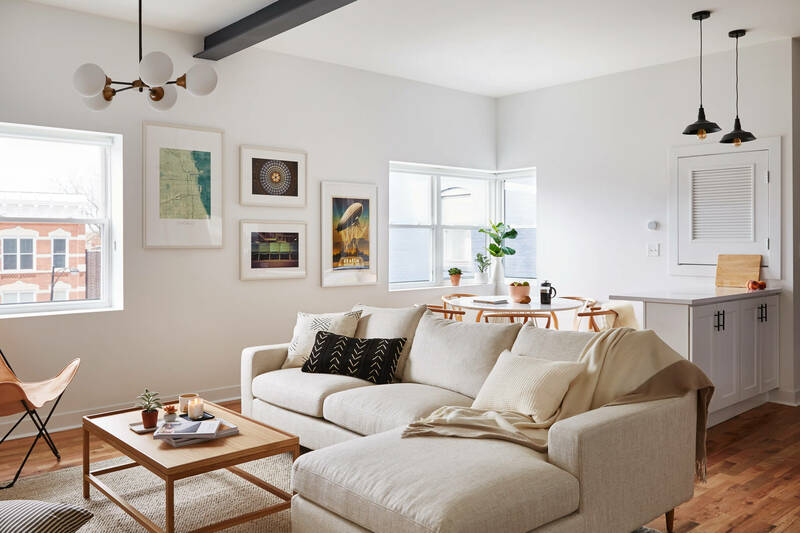 Coliving provides our members with a convenient solution to life in the city, where just 1 all-inclusive rate provides for all your furniture, household essentials, weekly cleaning, laundry and laundry essentials, WiFi, utilities, and more. Unless you have unlimited funds, odds are that the design of your dreams can sometimes be disconnected with the amount of cash in your pocket. When you become a member at Common, your home is already designed and furnished with luxury goods that are ready for your social media feed. Think CB2 coffee tables and Interior Define sofas, and Bear mattresses. You can own all of the beautiful decors without having to pay for it – it all comes included in your monthly rate. Speaking of what’s included for your monthly rate, on overage, Common members save around $380 month over traditional rentals. It’s not just about the cost of rent – there are also savings in moving costs (you can literally just bring your suitcase, no moving vans or shipping costs), laundry, furniture, cookware, and even outings with friends, because our community spaces are designed for sharing moments at home with your suitemates. We like to think of our homes as friendly, with a “Know Your Neighbor” ethos. Common homes are designed to optimize for your privacy within your own bedroom, but to be social in community spaces, whether that’s a lounge in the basement, a rooftop deck, or even the shared suite just outside your door. To find out more about our coliving homes, click here. And check out our Facebook page and Twitter for up-to-date information about our homes, members, and cities.